Although Texas only requires a 60-day wait before the hearing to finalize your divorce can be held, if you live in Bexar County and want to represent yourself rather than hire a lawyer, be prepared to wait three to six times longer than that to end your marriage. The delay is happening in the Bexar County staff attorney's office, where all divorce cases filed by people without an attorney, or pro se, must undergo a review process. To be clear, the staff attorney's office does not represent the person filing for divorce. Rather, it reviews pro se case files on behalf of the judge assigned to the case. Only after the staff attorney's office has reviewed the documents filed in the case for legal sufficiency can the matter be set for a hearing to finalize the divorce. However, the estimated time for the review process is anywhere from six to 12 months--several months longer than the 60-day required waiting period in Texas. The staff attorney's office is located in the Bexar County Courthouse in San Antonio. Due to minimal staffing and high call volume the office does not answer the phone or accept voicemails. E-mail inquiries may be sent to the staff attorney's office at civilintern2@bexar.org, but they recommend people come there in person to arrange to have documents reviewed or if they have questions. The staff attorney's office is open to the public from 8 a.m. to 11:45 a.m. and 1:00 p.m. to 4:45 p.m. on Mondays and Wednesdays and from 8 a.m. to 11:45 a.m. on Tuesdays and Thursdays. It is closed to the public on Tuesday and Thursday afternoons and all day on Friday. Adding to the frustration of the delay is the fact that the huge backlog for divorce case reviews at the staff attorney's office doesn't affect you if you hire an attorney. 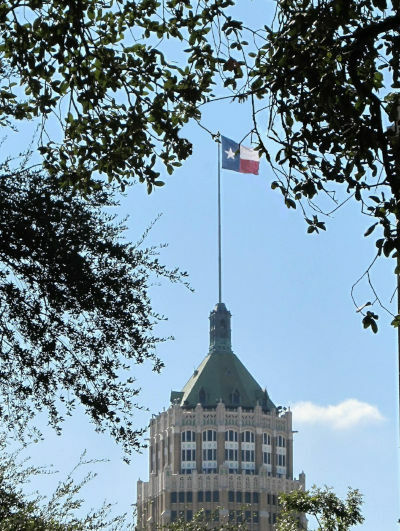 According to the Bexar County Guidelines for Pro Se Hearings, "[d]ue to substantial delays in processing Decrees and Orders, you can probably get things done much quicker with your own attorney..." In other words, filers with lawyers don't go through review and can have their final hearings with the judge held as soon as the 60-day waiting period has passed. People who can't afford an attorney or who choose to represent themselves, on the other hand, are forced to wait several months longer than that to get in front of the judge. To be fair, when you hire an attorney, it's entirely reasonable for the court clerk's office to assume that the paperwork is legally sufficient and ready to go in front of the judge once the 60-day limit runs. In pro se cases, it's not so easy. Many self-represented people don't have a clue what's required to be their own lawyers, and they routinely show up with blank forms, unsigned forms, and forms designed for other states. Their lack of basic knowledge of procedural matters puts a strain on the often already limited resources of clerks and courts, so for the sake of judicial efficiency, at least some level of review at the filing phase makes sense and is not unusual. Even though court clerks are generally not attorneys and are not permitted by law to advise people on whether their documents are legally sufficient, as a practical matter, in most counties in Texas and the rest of the U.S., court clerk personnel routinely perform informal review of divorce case filings to see if they appear to be compliant with the basic legal requirements. Many states, including California and Florida, have self-help offices or court facilitators whose sole purpose is to help streamline the process by reviewing documents before they reach the judge's desk. These offices help cases move more smoothly by performing a brief review, often on a walk-in basis any time during normal 8 a.m.-4 p.m. business hours, and usually on the day they are presented for filing. Why does it take so long to get divorced without a lawyer in Bexar County? Compared to other states like California, New Jersey and New York, where it takes a minimum of 15 different documents to get divorced (20 if you have minor children), very few forms are required to get divorced in Texas. In an uncontested Texas divorce with no minor children, getting divorced requires a Civil Case Information Sheet (1 page), an Original Petition for Divorce (3-5 pages), the Respondent's Waiver of Service of Citation (2 pages), a Decree (4-6 pages if no children, 25-30 with children), and a Vital Statistics form VS-165 (1 page). Some counties also require a one-page Order to Set Final Hearing. If the parties have real estate transactions or other more complex matters concerning the distribution of property, debt, or spousal support the parties may need to supply additional documentsfor the staff attorney's review. In terms of paperwork, minor children in a divorce case usually add another 20-25 pages to the Decree. Those additional pages detail possession and conservatorship (formerly known as child custody), parenting time (visitation) and child support. Often the additional pages in the Decree concerning possession, conservatorship and parenting time mirror Texas Family Code Chapter 153, Subchapter F of the Standard Parenting Order and should be familiar to staff attorney personnel. Similarly, the office uses a child support calculating program to determine the correct support amount under the state guidelines based on the parties' income and the number of minor children, which can then be compared to the child support amount listed in the pro se filer's divorce paperwork. If the amounts don't match, there may be an error or the case may need to be evaluated further to determine if a deviation from the standard calculation is in the best interest of the minor children. It's unclear why Bexar County is experiencing such long delays in finalizing pro se cases when other larger Texas counties aren't. Harris, Dallas and Tarrant Counties all have higher populations than Bexar, which presumably translates into more people filing for divorce without an attorney, yet they don't keep pro se cases stuck in review for months beyond the required 60 days. In those counties, you file your divorce paperwork at the Court Clerk's office and make arrangements to have your case set for hearing once the 60-day waiting period has passed. Meanwhile, pro se filers in Bexar County must choose between hiring a lawyer or waiting several additional months to get divorced.